Groundwater provides a third of our drinking water in England and Wales, and it also maintains the flow in many of our rivers. In some areas of Southern England, like Berkshire and Hampshire, groundwater supplies up to 80% of the drinking water that you get through your taps. It is crucial that we look after these sources and ensure that your water is completely safe to drink. 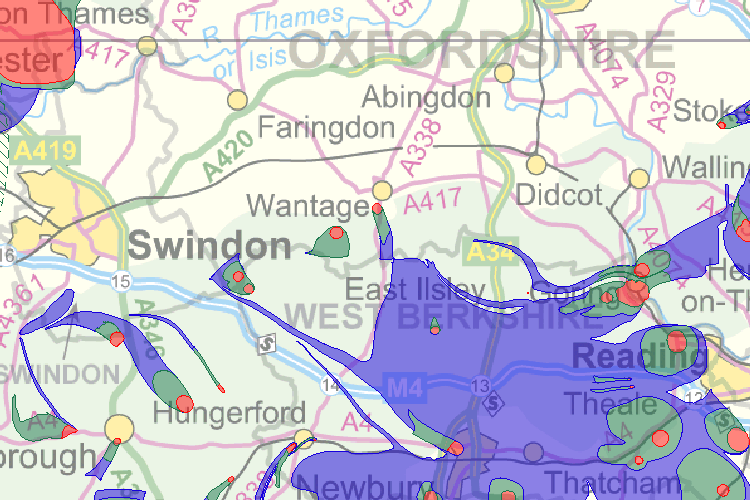 The geology in both Hampshire and Berkshire serves itself well to the drilling of water boreholes ( water wells).